Julie is currently Executive Director of Steere House Nursing & Rehabilitation Center and President of The Seasons’ Board of Directors. She is past Chair of Carelink, a member and past president of Leading Age of Rhode Island, a member of the Pace of RI Board of Directors, a member of the Rhode College of Health Care Administrators and President of Rhode Island Nursing Home Group Insurance. She has worked in various nursing home settings for more than 25 years, both for profit and not for profit, bringing extensive leadership experience to the Board. Julie earned her master’s degree in Health Care Administration from Framingham State and her bachelor’s degree from Providence College. Chris retired as Executive Director of the Scandinavian Home in 2016 after 41 years. Chris lead the effort to develop The Seasons initially, and then served as Executive Director until 2014 as a result of contracts between Scandinavian Home and The Seasons. Chris was a member and past president of LeadingAge RI, Carelink, RINHG and PACE. Chris received a bachelor’s degree in business administration from Bryant University. Craig T. Butzbach has been the principal owner of Pinnacle Financial Group, an insurance and financial services firm for 34 years. He is a member of The Million Dollar Roundtable. Craig attended the University of Rhode Island and Johnson and Wales University. Craig has been an active member of the East Greenwich Chamber of Commerce for over 30 years, he is a past president and has been the chairperson of The East Greenwich Chamber’s charity golf tournament for the past 28 years. Craig is a former board member of the Summer’s End concert series and The Greenwich Odeum. Julie served many years on the board of the Scandinavian Home in Cranston and currently serves on their finance committee. She is also a member of the board for The Children’s Shelter of Blackstone Valley. Julie holds a Bachelors degree in Biology from Newton College of The Sacred Heart and a M.A. from the University of Rhode Island. Julie taught science at Wm. E. Tolman High School in Pawtucket for thirty-five years, retiring in 2005. After a summer of retirement, she continued teaching part time at Jacqueline M. Walsh, Pawtucket’s fledgling , fine arts school. Julie and her students from both schools participated in U.R.I.’s Watershed Watch program by testing the water in the ponds at Slater Park. She officially retired from teaching in 2008 and took up Bridge . 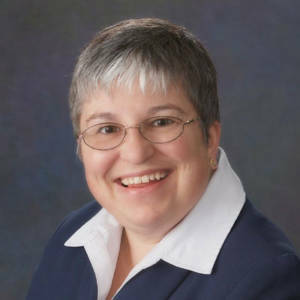 She is a member of the board of directors for the Rhode Island Bridge Association, serving as its charity chairperson. Donald is currently a Master Tax Advisor at H&R Block. He is also on the Board of Directors at the Scandinavian Home, Inc. Donald has worked at various accounting firms for over 35 years. He earned his bachelors from Roger Williams University. George is self-employed in the Real Estate Title Examination and Title Insurance industry and has been doing title work since 1971. He is licensed as a title insurance agent in both Rhode Island and South Carolina. A 1970 graduate of Brown University with a concentration in Political Science, he spent six months of active duty in New Jersey and Georgia training for the RI Army National Guard followed by part-time duty at home. He has been President of the East Greenwich Rotary Club and President of the East Greenwich Chamber of Commerce. George presently serves on the Executive Board of his condominium association as well as being a member of the Board of Administrators at Ocean View, a vacation resort in Hilton Head, SC. Dr. Steere Nobles joined the Board of Directors of Steere House in 2005 and serves on the Ethics and Education and Clinical Research Committees. Professionally, Dr. Steere Nobles is the Director of the Secondary/Postsecondary Articulation for Technology Education Consortium, a statewide technical education reform project, at Community College of Rhode Island. She received her Ph.D. from Texas A&M University in College Station in Educational Human Resource Development, her master’s degree from Northeastern State University in Community College Education and Student Personnel Services, and her Bachelor of Arts Degree from the University of Rhode Island (URI) in Education and Sociology. She serves on several statewide educational boards and is active locally having served on the School Committee and in many church and community leadership positions. Nicole is a senior level nursing executive who oversees the quality of nursing services to all residents and patients at Steere House. She graduated with a BSN from Salve Regina University in 2001. Nicole has dedicated her career to long term care, starting as a CNA and later becoming an RN and working her way up through management positions. Nicole is a member of the Seasons Board of Directors. She is a strong advocate in encouraging further education with her staff and has had the pleasure of witnessing many transitions from CNA’s to nurses and LPN’s to RN’s. Nicole has been Wound Care Certified (WCC) in the past and became a Certified Rehabilitation Registered Nurse in 2011 (CRRN).